Roses are the queen of the garden and one of the oldest known cultivated flowers. Fossil evidence of roses dates to 35 million years ago. They are a universal symbol of love that come in all shapes, colors and sizes. Roses are very hardy and can survive extreme neglect but they thrive when given good care through their growing season. Good growth for roses can be assured when they receive six to eight hours of sun per day. They have deep root systems and can be a drought-tolerant plant in areas where water conservation is necessary. Many rose growers create separate rose gardens where their needs can be catered to and the unique blooms enjoyed. Old English roses also do well in combination with other perennial flowers such as delphiniums and foxgloves. Most roses are sold as bare root during their dormant season of winter. Garden centers carry many varieties of bare-root roses and they are less expensive than full-grown roses that are sold in five-gallon containers. 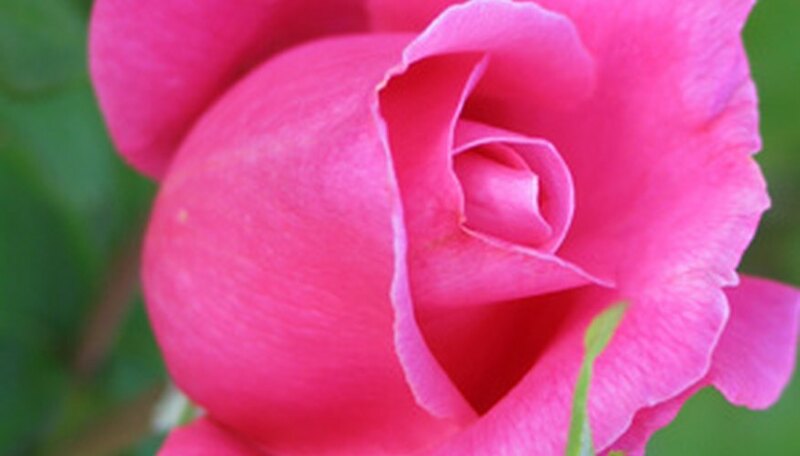 Rose experts recommend buying “Graded # 1” roses to ensure high quality plants. Rose root systems become well-established when they are planted bare root in the dormant season. Rose plant growth begins in early to mid-spring, depending on the climate zone. A feeding of fertilizing compost is a good way to start the growing season. Spring growth is vigorous and roses are known as heavy feeders. 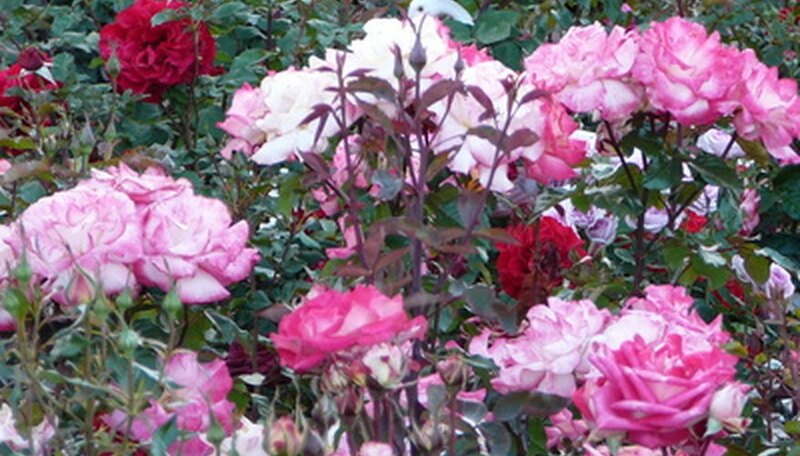 Roses need nitrogen, potassium and phosphorus for green growth and flower blooms. Compost fertilizer provides these essential nutrients in a slow release that will not burn delicate roots. Roses give their first bloom in late spring to early summer. It is important to deadhead the roses after they bloom because this conserves the plant’s energy for new growth and blooms. Remove the faded or spent flowers by pinching or pruning with garden clippers at a 45-degree angle above a leaf bud. Many rose varieties re-bloom in midsummer. Insects and rose disease problems are best controlled by beneficial insects, companion planting and organic insect sprays. Roses are prepared for the dormant winter season by pruning them back to 9 to 12 inches above ground. Deadwood and crossed canes are first removed, then the canes that grow toward the center of the plant. Shrub roses and old species roses do not need extreme pruning and miniature roses require very little. Deadwood and crossing canes are also removed from climbing roses, leaving second-year stems for new blooms in the spring. Cut them back to 1/3 their original size.